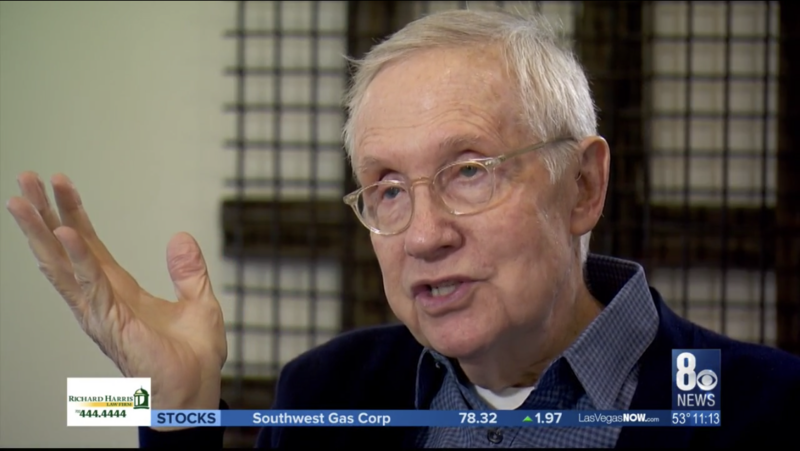 On January 31st, 2019, George Knapp and KLAS broadcast a new interview with Senator Harry Reid. As my friend Giuliano Marinkovic points out, there are two separate videos linked on the KLAS website page. Make sure to watch both. George Knapp has interviewed Harry Reid many times, but not in the last year due to health issues. Senator Reid wants Congress to carry out hearings on UFOs. He also agrees that more UFO programs exist within the government, as previously reported by SilvaRecord.com. Every time we are told about interest in UFOs among politicians, especially prominent ones like McCain, even posthumously, we are given a glimpse into their often very secretive and private mindframe. Other than Senator Reid’s historic comments, George Knapp released the fourth complete DIRD, not just a cover letter. We know all the DIRDs that exist, all thirty-eight titles, but this fourth complete document is very important. Not only do the DIRDs lend legitimacy to the subject, it shows scientists that these subjects are in fact studied and taken seriously by the United States Government. Hopefully more scientists will now be inspired to take up and publish similar research, openly. Dr. Leonhardt also focuses on Metamaterials, a term that has multiple meanings that dont always imply involvement with UFOs or the Phenomenon, while other times they explicitly do. I can only guess since we have now seen four DIRDs released, that more will eventually come out. The whole interview that George Knapp conducted with Harry Reid has not been broadcast, yet.